When viewed strategically, social media is at its heart “opportunistic marketing”. At last month’s SXSW Interactive conference, a component of the legendary music, film and interactive festival dedicated to the coolest new media technologies, Lee Odden, CEO of TopRank® Online Marketing, detailed the benefits of strategic social medial in a podcast with Susan Bratton, CEO of Personal Life Media. 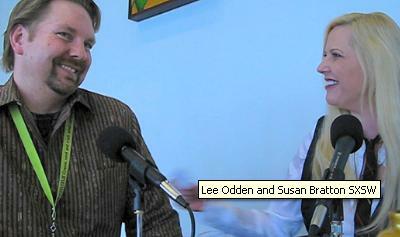 You can listen to or read full transcribed interview with Susan here. In the interview, Odden coupled his strategic social media recommendation to Bratton’s listeners with a warning to avoid jumping directly into social media tactics. Odden recommends for businesses, and helps implement for clients of TopRank® Online Marketing, the construction of a Social Media Roadmap. This structured approach helps ensure businesses identify their audience, objectives and relevant supporting tactics prior to diving into the social media landscape. 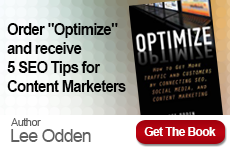 In what Bratton described as the “gem” of the interview, Odden detailed how, by following this structured approach, clients of TopRank® Online Marketing are already leveraging the opportunistic power of social media to experience a richer, more complete online marketing program. “We look at topics that are buzzing in social media, and we bring this information back to a client and go, ‘Look, people in your category are talking about this. Let’s create content so that you rank for it highly in the search engines.’ By the time that buzzing topic hits mainstream media, they’re already there – they have a first mover advantage,’” states Odden. Clients of TopRank® Online Marketing and businesses who take this strategic approach to social media are already experiencing the benefits that come along with becoming a first mover in their industry. And for most, it began with a Social Media Roadmap. 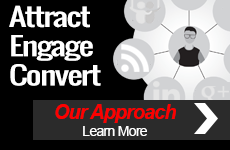 Discover more insight on social media from TopRank® Online Marketing in the Social Media Marketing category of the Online Marketing Blog offering numerous articles on social media strategies and tactics.